Trish Murphy (US) see: Samples etc. Kenny Murray was (is?) apparently a Glaswegian, also apparently half of the duo Kenney & Pete, who, according to Discogs, released a lone single in 1972. 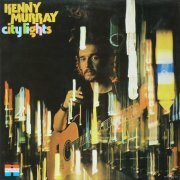 1976's City Lights is usually listed as being of Dutch origin, probably because, in a manner of speaking, it is: Murray might be British, but he'd settled across the North Sea, the album being recorded in the Netherlands, using a full complement of local musicians. Sadly, it largely consists of limp, if mostly inoffensive balladry, typified by opener How Can I Say That I Love You and With Your Eyes, more '60s than '70s, making The Other, which sounds like it was heavily influenced by Foreigner's contemporaneous Cold As Ice (assuming that had actually been released when this was written), easily the best thing here, Valentine's Sees' heavy(-ish) blues limping into second place. Roelof van Luiveren supposedly plays Mellotron, although the only place it even might be is on Lovesong (I'll Be Your), the track's strings sounding as if a Mellotron has been mixed in with real ones. Why bother? I have no idea. Either way, you really don't need to hear this. Pete Murray (Australia) see: Samples etc. Peter Murray (Canada) see: Samples etc. Mus (Spain) see: Samples etc. Marco Lo Muscio is a classically-trained Italian pianist, with a soft spot for '70s progressive rock. And why not? 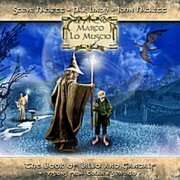 2010's The Book of Bilbo & Gandalf is the latest entrant in the somewhat overworked Tolkien-referencing prog sub-sub-genre, this time with a difference; not only instrumental (OK, so was Bo Hansson's Lord of the Rings and doubtless others), but consisting mostly of virtuoso piano pieces, albeit with a slight Celtic feel about which I can't imagine ol' J.R.R. being too happy (see: the film trilogy's soundtracks). There are exceptions to this rule: Galadriel is effectively a Steve Hackett solo piece, while his flautist brother John gets his chance on Thoughts Turn Homeward, accompanying Lo Muscio, with a (real) church organ/flute combination on beautiful closer Visions From Minas Tirith. Lo Muscio occasionally varies his musical diet, notably when he suddenly lurches into a slightly jazzy feel about eight minutes into Dark And Light, although the bulk of the album follows the tried'n'tested formula. If I have any criticisms, it's too long, particularly The Hobbit Book's eighteen minutes of unaccompanied piano, while some of the composition lacks complexity, being too reliant on rock chord sequences than classical ones, with little key modulation. One Mellotron track, from guest Pär Lindh, with a flute line and strings on opener The Fellowship On Entering The Magic Forest Of Lothlorien, Lo Muscio sadly resisting the temptation to have Lindh embellish any other tracks. 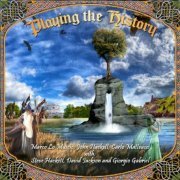 Playing the History is, effectively a tribute album, Muscio accompanying John Hackett and assorted friends, mostly on church organ. Does his approach work? In places, certainly, but an all-stops-out church organ has something in common with a Mellotron: great in small doses, but when applied in 'carpet-bomb' style, it tends to lose its efficacy. Top tracks? Maybe After The Ordeal (Genesis), Steve Hackett's mighty Shadow Of The Hierophant, although the epic closing section loses some of its thunderous power and Muscio's own Visions From Minas Tirith. The album's one real mistake is The Floyd's Great Gig In The Sky, Van der Graaf's David Jackson's sax sounding raucously tuneless against the organ. Muscio's credited with 'M400', although I've no idea whose. Anyway, all we get is a handful of string chords at the beginning of Shadow Of The Hierophant. Muse (US) see: Samples etc. Muse (UK) see: Samples etc. Musée Mécanique (US) see: Samples etc. You know those albums that are given the 'classic' mantle, but can't live up to the hype? Well, this isn't one of them. Zarathustra really is that good. I didn't believe it myself until I'd given it a few listens; beginning to end, not a note out of place. OK, so the drummer is playing to the absolute limits of his ability, but the sheer excitement and dynamics of his playing carries all before him. I've rarely heard a drummer this, well, enthusiastic; he's obviously loving every moment of his one shot at fame, and he makes the most of it in no uncertain manner. The strangest thing about Zarathustra is its relative obscurity; released in 1973, it obviously sold bugger all at the time, and it was only with its CD issue in the '90s that an appreciable number of prog fans got to hear it. Some purists have derided it for being 'too heavy', but as long as you're not offended by a bit of distorted guitar, you've got nothing to worry about. The first side of the album consists of the twenty-minute title track; a gentle Mellotron flute intro from Pit Corradi leads into a series of dramatic 'Tron strings-led chords, quietening down again before some manic drumming introduces the song's main riff. 'Phenomenal' is the word that springs to mind; massive organ and Mellotron chords riding over riffing guitar and more of that drumming. This guy never stops! ; I've rarely heard anyone go for it like him. Without him, the album would be great; with him, it's superb. Proof of just how important a good, dynamic drummer is to a band. The piece moves through several sections until finally, after a long sustained organ chord, it ends up back at the main riff, repeated with guitar interjections before the fade out. 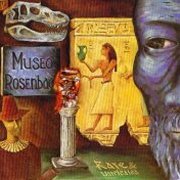 Side two is every bit as good, with another three excellent songs; quite where Museo Rosenbach found their inspiration is unknown, but they produced a near-perfect album, then simply disappeared. There are a couple of archive releases available; Live '72 (***½) is good, but lacks Mellotron (presumably they didn't obtain one until later that year). In 1992, Mellow released an LP titled Rarities, and a CD, Rare and Unreleased, which apparently (and irritatingly) feature different selections from the band's demo archives. I haven't heard the LP, but the CD is excellent, showcasing a gentler, piano-led version of Zarathustra and instrumental versions of various other album tracks. There's maybe less Mellotron than on the eventual recorded versions, although some of the parts are different, with the odd 'wobbly' here and there. The rest of the album consists of 'Tronless live tracks, including no less than two Uriah Heep numbers, and another two early versions of album tracks, sans 'Tron. A good album, but really only for the committed fan. Albums as good as Zarathustra come along all too rarely; maybe it's a good thing Museo Rosenbach's career was so cruelly truncated, as they never got the chance to slide into mediocrity (see: PFM), or felt the need to 'go commercial' (see: anyone you care to mention from the late '70s). It turns out that they reformed in the late '90s, probably in direct response to the belated popularity of their classic, releasing Exit in 2000, but I've no idea whether or not the new band are any good, though I suspect not; you can be certain, however, that they don't use Mellotron. So; Zarathustra. Buy? BUY! Truly one of the classics. Kacey Musgraves (US) see: Samples etc. Mushroom's Patience (Italy) see: Samples etc. The Music Lovers (US) see: Samples etc. 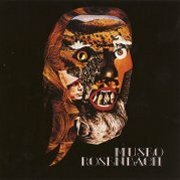 Musica Reservata (Japan) see: Samples etc. These days, (Os) Mutantes are revered for their late-'60s psych albums, produced against all the odds under the repressive Brazilian regime of the time, while their '70s work is derided for being 'tedious prog rock', or some such unflattering description. Fashionistas - who needs 'em? Of course, their prog period was very much in keeping with the times; they couldn't carry on producing psych-pop without looking ridiculously dated, which tends to be forgotten by Those Who Would Define Our Taste. What's more, not only is there nothing wrong with said style (and yes, I will argue this point to the death. 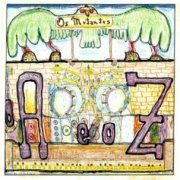 Well, nearly), but Mutantes were perfectly good at it, as oAeoZ (not released until twenty years after the event) proves quite unequivocally. Musically varied, some tracks work better than others, with the bluesy Rolling Stones being the chief casualty, while the acoustic Vocé Sabe and the Yesalike Hey Joe (not that one) working far better. I've recently been informed (by an acquaintance who actually knew the band at the time) that Mutantes moved to London in the early '70s, squeezing themselves into a tiny flat, presumably all they could afford. 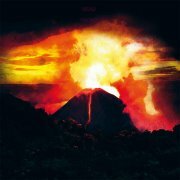 They bought a Mellotron and shared said flat with it, using it on these recordings (although not on their next album, 1974's Tudo Foi Feito Pelo Sol); Arnaldo Baptista's use is pretty restrained, with a few simple strings chords on the title track and some more upfront use (strings and flutes) on the lengthy Hey Joe, including a squeaky high part, played about as quickly as is possible on the machine. Flutes and more strings on the last two tracks make this a borderline Mellotron Album, but it's certainly worth hearing for the prog fan looking for something slightly different. You want obscure? 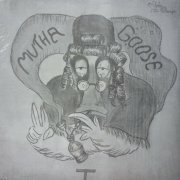 (Pt.94) Mutha Goose were a one-off outfit from Indiana, who had the uncommonly good sense for the era to name themselves something easily Internet-searchable twenty years later (er...). Their sole album, the exceedingly short and rather optimistically titled Mutha Goose I, is a slightly dated-for-the-time prog album, with rockin' guitars on a couple of tracks, notably the straightforward boogie of Freak-Hitchhicker [sic]. None of the material particularly stands out, although at least they were musically ambitious, which is more than you can say for most of their contemporaries. OK, most bands ever, from anywhere. There's no way of telling from the sleeve who plays the (uncredited) Mellotron, or, indeed, anything else, as in a fit of stoned humour (or something), the band opted to list on the rear sleeve the four members to the left, seven items (including 'bulldozer', 'air raid siren' and 'second fiddle') to the right and a series of tangled lines in between, with the legend 'match the instrument to the musician' (right). Thanks, guys. Anyway, the unknown player adds a brief string part to opener You Said Goodbye and an equally brief flute one to Exodus, making the album eligible for this site, but only just. Available on download blogs, but the chances of this receiving an official reissue appear slim. My Brightest Diamond (US) see: Samples etc. Although Nicklas Barker's My Brother the Wind use Mellotron samples in the studio, they sourced a real M400 for their 2013 Roadburn appearance (see pic, right). Their hour-long set at Tilburg's legendary festival has been split into named tracks for the release, but I'd imagine that's more for convenience than anything, as it's basically one long space-rock jam, like Hawkwind at their early, coruscating best. This is 'head music' in the best possible sense, transcendence through noise, with the knowledge that listening to it in the comfort of your own home can only ever be a pale shadow of the original live experience. Barker switches from guitar to Mellotron three times, with a ripping string part on Sulphur Valley Dawn, morphing into flutes in the quiet section, choirs-into-strings on Ancient Caravan and choirs at the end of Into The Cosmic Halo, making you wish they'd use the real thing when recording, too. I've loved everything I've heard by My Brother the Wind, but I might just love this a little more than everything else. Buy. My Friend Stephanie (US) see: Samples etc. My Little Lover (Japan) see: Samples etc. My Morning Jacket (US) see: Samples etc. My Silent Bravery (US) see: Samples etc. 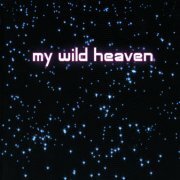 My Wild Heaven are the new project from the people who brought us the Zachary Jones Band, Mr. Jones being as fictional a personage as Max Webster or Simon Dupree. 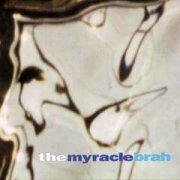 MWH couldn't be more different to the ZJB if they tried; a power trio, they specialise in what mainman Bill Bechtel describes as 'sci-fi rock', or aggressive hard rock with space-rock and prog tendencies, particularly in the keyboard department, overlaid with science-fictional lyrics. The material was written over a lengthy timespan, with the earliest piece being closing instrumental The Ritual Dance Of The Lizards that Bill wrote at college in the late '70s, right up to songs written during the recording process. Suffice to say, My Wild Heaven has had a long gestation, and it's nice to see someone's 'baby' finally see the light of day. I'm reliably informed (thanks, Bill) that most of the 'Mellotron' work here is sample-based, with the exception of Sputniks May Safely Phase (ho ho), an instrumental consisting almost entirely of real M400 cellos, strings and flutes. You can spot it as the one genuine 'Tron track a mile off; its tuning is way off and it sounds as cranky as hell. Excellent! Now, Bill: new motor control card and a second tape frame. You know you want to... The rest of the album is smothered in 'Tron patches from the Mike Pinder CD-ROM, and sound pretty good, albeit far too smooth for the real thing. Alannah Myles remains best-known for her eponymous 1989 debut album and its major hit, Black Velvet. 1995's A-Lan-Nah is her third effort, by which time she was commercially on the slide; surprising, as it's a pretty commercial album, channelling mid-'80s AOR in a vaguely Heart vein. Maybe that was the problem; the style had gone completely out of fashion by then, with former megastars reduced to playing theatres or dissolving acrimoniously (or both). 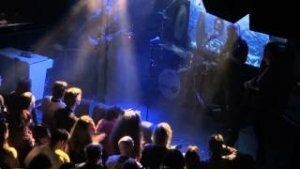 The album rocks, albeit lightly, with a handful of tracks heading in a quieter direction; there's something of a folky Zeppelin vibe about Mother Nature, Everybody's Breakin' Up has an almost late-nite jazz feel, while Irish Rain and Sally Go Round The Roses are heavily immersed in Celtic folk. Phil Parlapiano plays Mellotron, amongst other things, although it's so indistinct that I'm almost having to use guesswork as to its location. I think that's 'Tron flutes on Mother Nature, although it could be almost anything, really, and very background strings on Lightning In A Bottle, although I wouldn't entirely stake my non-existent reputation on either. So; mainstream stuff, sounding a little adrift in the mid-'90s, with next to no Mellotron. One for Heart fans, I think. As previously stated in my review of The Myracle Brah's Bleeder, they're Baltimore-based Andy Bopp's powerpop project, irritating joke name and all, whose third album, 2000's The Myracle Brah, is a pretty decent set of genre material. Highlights include opener I'd Rather Be, mid-paced jangle-fest When She Cries and retro-boogie Hey Now, while weaker tracks include the dreary Crane and closer Inside Those Eyes, although nothing here actually offends. Is that a recommendation? Marty Canelli plays Mellotron, probably real, although it's really not easy to tell, with strings on Madaliene and She's Gonna Fly, distant choirs on Going Crazy and strings and flutes on Dying 310. While no classic, this is worth hearing for genre fans, at least; how did Bopp get it so wrong the next time round?